All titles have been remastered, and have never sounded better! 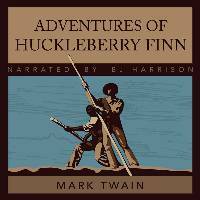 Please check out the Classic Tales Audiobooks blog for more detailed information! When you purchase this product, and the payment goes through, you will receive a second email with a link to a zipped file that contains all 57 mp3 files of the P.G. Wodehouse collection. Download the zipped file, import it to iTunes, and you're on your way! From Anonymous of Victoria, British Columbia on 3/9/2019 . An absolute delight! BJ Harrison is the perfect voice for Wodehouse - such character! From April of Minnesota , Minnesota on 12/26/2018 . I enjoy these stories immensely, and the narrator is top notch! From Anonymous of Kerala, India on 6/1/2018 . From Denise Bowen of Palm Desert, California on 4/30/2018 . What fun! I love P.G. Wodehouse and BJ does a fantastic job bringing every character to life. Spot on! From Marc Moshman of Silver Spring, Maryland on 4/5/2018 . Although virtually all the stories in this collection are winners, the performance of B.J. Harrison on 'Right-Ho, Jeeves' is really outstanding. The story is beautifully complex and clever and it's read so well that it was an absolute pleasure to experience. From Josh of Bozeman, Montana on 11/8/2017 . My favorite author, P.G. Wodehouse, and my favorite narrator, B.J. Harrison, combine to produce a real treat. Wodehouse's whimsical mastery of language is brought to life by Harrison. I can't read Jeeves & Wooster stories without hearing his fantastic voices for these characters. My daughter and I listened to Jeeves and the Chump Cyril and The Man Who Disliked Cats on a drive recently and it was such fun sharing my favorite literature with her in a way she really enjoyed. Thank you B.J. A great listen. Very enjoyable. From Christopher Gehrig of East Moriches, New York on 3/16/2015 . Wodehouse writes some very funny characters masterfully brought to life by the best narrator in audio books. Delightfully easy to listen to. From Jackie Worth of Bolivar, Missouri on 2/2/2015 . I've never read anything by Wodehouse before so this was a real treat to have the book come to life by B.J. 's narration. It is so well-written with so many creative ways of describing ordinary tasks. B.J. gave the main character so much energy in his delivery that I thought Berty was going to hop out of the speakers. What?! And Jeeves' voice was perfect! There were some other non-Jeeves stories in this collection that were amusing, but not as great as Jeeves. I did, however, enjoy the French accent in the Man Who Hated Cats. I highly recommend this collection if you like light-hearted tales. From Dave of Gentry, Arkansas on 8/17/2014 . From Eric Bullard of Morristown, Tennessee on 10/29/2013 . Wodehouse is an absolute master of making ridiculously difficult turn of phrase sound effortless. The buffoonery of the upper class "Old Boys" and their much more logical working class "Gentleman's gentlemen" makes for light but delightful reading. Few writers make me truly laugh out loud but Wodehouse has that ability. Harris brings his writing to life wonderfully. Well worth the few bob. From Lani Lynch of Wenatchee, Washington on 8/14/2013 . This is a wonderful recording. Wodehouse is one of the most entertaining authors ever and Harris reads him masterfully. From Jose Flores of Oak Forest, Illinois on 12/9/2012 . Amazing material, great production, and an extremely talented reader equals a very impressive package. You'll never find more entertainment for the money. From DanB of E. Lansing, Michigan on 12/8/2012 . I'm ashamed to say that I had never glanced at P.G. Wodehouse before listening to B.J. 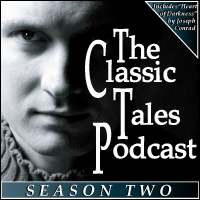 Harrison's reading of Jeeves Takes Charge on the Classic Tales podcast. After that podcast, however, I immediately bought both a kindle collection to read and this audio collection from thebestaudiobooks.com. The writing is similar in some respects to E.W. Hornung's Raffles stories, but has greater depth and better command of language. I normally prefer to read books myself and listen only when traveling, but Harrison's version is the one I do by default now. Add Harrison's incredible vocal range and gift for nuance, shading, tone, and Wodehouse's already interesting characters come to life vividly. From Bill Breen of Bangor, Maine on 8/11/2012 . From Meagan of Pensacola, Florida on 7/22/2012 . A collection to make any P.G. Wodehouse fan happy. Right Ho Jeeves stands out above the rest! I don't believe I could have enjoyed it half as much without B.J. 's character voices. Thanks B.J.! From Amber of Spangdahlem, Germany on 6/21/2012 . I adore this whole collection. The Jeeves stories in particular are just wonderful. These are a delightful listen. From Anonymous of Annandale, Unknown on 6/1/2012 . I nearly wrecked my car several times from laughing so hard. A broad cast of characters. Each one is distinctive. From Joshua Hugo of Kankakee, Illinois on 5/22/2012 . Consistently high quality from B.j. Harrison. From Joe Renzetti of NYC, New York on 5/8/2012 . Wodehouse is a great story writer, a brilliant inventor of wonderful characters. Creates witty dialog about timeless themes. Read by one of the best IMHO, BJ Harrison. From Anonymous of Roseville, Minnesota on 5/2/2012 . I loved the P.G. Wodehouse collection. Great fun and the narrator did an excellent job of bringing the book to life. From Grampaul of New Orleans, Louisiana on 4/25/2012 . From Anonymous of Seattle, Washington on 4/15/2012 . Fabulous narration--first rate all the way! From Gwen of Rome, Italy on 4/4/2012 . A great collection, wonderfully performed. Bravo! From Dee of Nashville, Tennessee on 3/30/2012 . I have loved reading PG Wodehouse since I was a teen, and have never ever heard anyone interpret the zany hijinks and subtle sarcasm as well as BJ Harrison. There are nights I would try to fall asleep to his wonderful voice but the funny would keep me awake :) If you love the stories of Wodehouse, you will love how BJ brings them to life. From Anonymous of Greeneville, Tennessee on 3/15/2012 . I have heard most of the stories in this collection many times and am thoroughly enjoying listening to them again. P.G. Wodehouse wrote some of the best stories in History, in my opinion and B.J. Harrison is the best man to narrate them. You make Bertie come to life B.J. From Anonymous of Yorba Linda, California on 3/8/2012 . 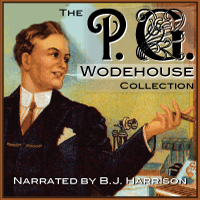 I love PG Wodehouse and BJ has a great voice for listening to the stories (especially Jeeves). The price was good too. From Paul Soper of Wilmington, Delaware on 2/26/2012 . These recordings are smashing. I mean to say, if you don't have time to actually put eyes to paper and read old P.G., this is absolutely the way to go. The stories are all written in the first person - from the perspective of Bertie, don't you know - and the funniest parts are Bertie's thoughts. I don't mean thinking in the sense of what they do up at Oxford and Cambridge, with their black robes and massive tomes in Greek and Latin and what not. I mean whatever happens to pass between Bertie's ears. So, unless you are Aunt Agatha, buy this collection and be prepared to laugh until your sides hurt. Use caution while driving. From Anthony Gillmeier of Newburgh, New York on 2/24/2012 . This is a wonderful collection, so well done, I m continually amazed at how well BJ does the voices and the production is of the highest quality. The jeeves episodes are my favorites of all time, they make me laugh each time I listen to them time, which I do often. I can't recommend this collection and his work in general enough! P, G. Wodehouse Collection–Buy It! From Jim Wilson of Tulare, California on 2/20/2012 . Why I would even be remotely interested in the doings of a lazy, do nothing, Englishman is hard for me to explain. Perhaps it's the role the all-knowing valet plays as the wise common man to Bertie's clueless aristocrat. B. J. reads with just the right vocal tone and I will listen to these stories over and over. What a bargain! From Anonymous of Wolfville, , Nova Scotia on 2/14/2012 . This is a very entertaining collection for those of us who love PG Wodehouse. There are many, many stories featured - it's a great buy. From Mark of Hamilton, New Zealand on 2/13/2012 . Excellent, always enjoyable to listen to thanks. From Anonymous of Fernie, British Columbia on 2/13/2012 . I am really enjoying the P.G. Wodehouse Collection. It is so well read. Bertie really comes to life! Thanks for this !